Anna Byron is supposed to be living the dream. With a six figure salary and a boyfriend hinting at a Christmas proposal, it should be the perfect end to the year. Except Anna’s life has never felt so empty and a chance encounter makes her realise it’s time to go home to the beautiful seaside town of St Nicholas Bay. Jamie Harrington was eighteen the last time he saw Anna, when he disappeared from her life without explanation; but ten years later he’s back in the Bay, too, as the newly appointed vicar. Setting up a Christmas choir seems like the perfect opportunity for them to give their relationship a second chance, but there are tensions in the group and secrets from the past soon start to unravel. Someone’s out to get the Harrington family and rumours about who was really involved in a tragic drowning a decade earlier won’t go away. Weighed down by guilt, Jamie convinces himself that he doesn’t deserve Anna’s love and it looks like history – and his disappearing act – are about to repeat themselves. Can Anna and Jamie let go of the past and learn to trust each other again or will the choir be disbanded for good by the time Christmas Eve comes around? 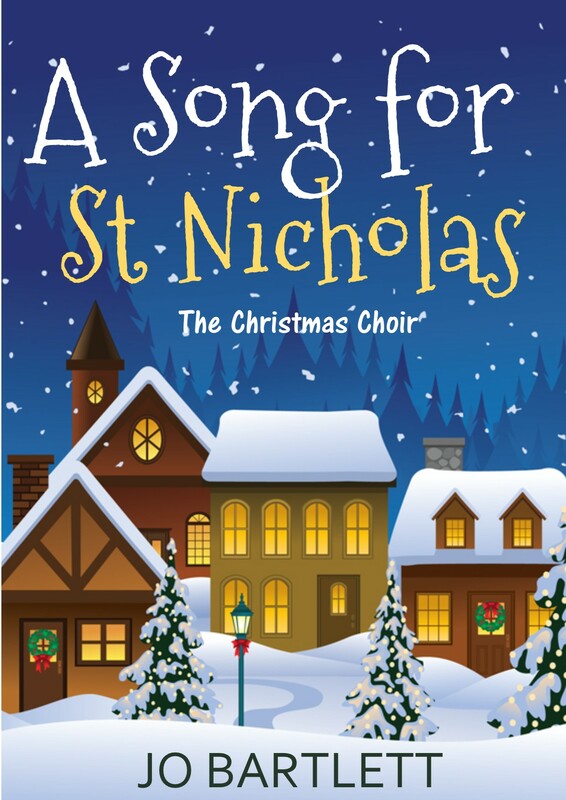 A Song for St Nicholas is available here.